44:13 – Peter Bernard has an Elvis Movie Dream!! The Incredible True Facts of Space are Here!! 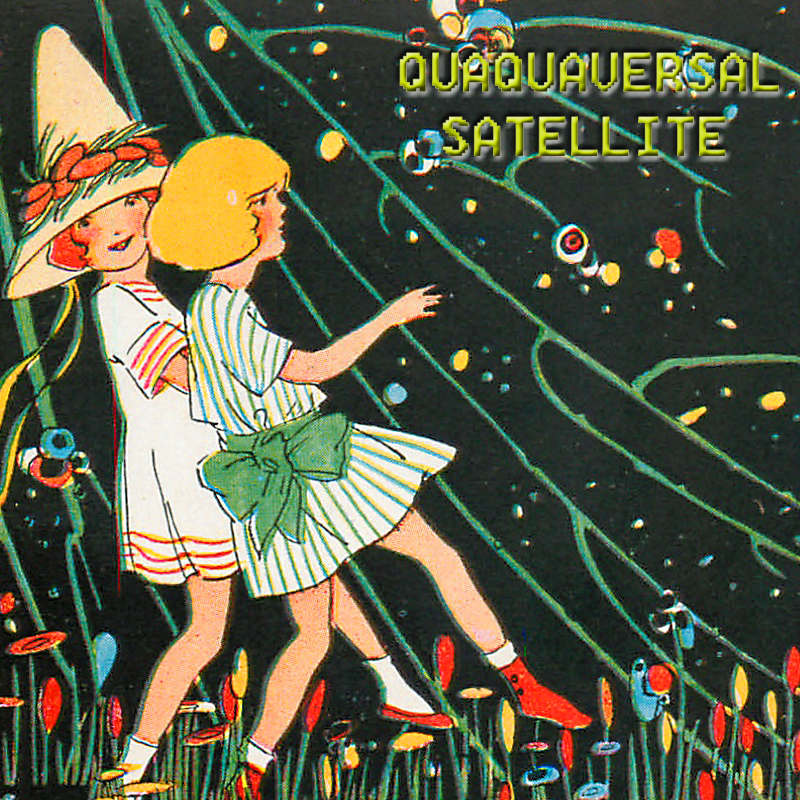 A Quintette of New Audio Collage Musical Selections featuring music with Donx and PQ!! Bob and Ray!! PQ Ribber is your entertainium curator! Attribution by PQ Ribber. Peter Bernard appears courtesy of Heroical Masterings and his musical musings are his property! 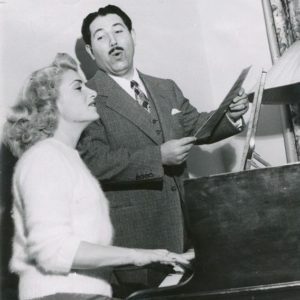 1:22:29 – Gildy and Leila confront their mortality in two episodes of The Great Gildersleeve from 1946. 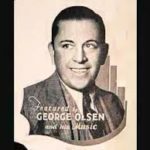 Dave in Kentucky provides background and commentary, and explains why these episodes are still relevant to our lives today. License for this track: Creative Commons Attribution-NonCommercial-NoDerivs 3.0 Unported License (creativecommons.org/licenses/by-nc-nd/3.0/). Attribution: by Dave in Kentucky. 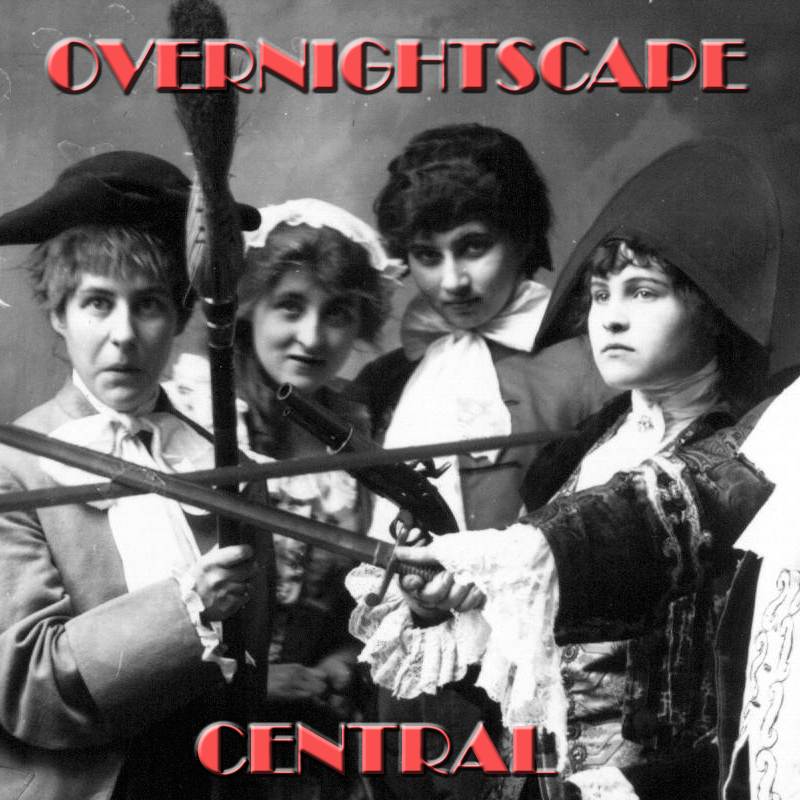 Released March 2018 on The Overnightscape Underground (onsug.com), an Internet talk radio channel focusing on a freeform monologue style, with diverse and clever hosts presenting unique programs, historic archival material, and nocturnal audio. 2:33:37– Frank in NJ and NYC, plus the Other Side. 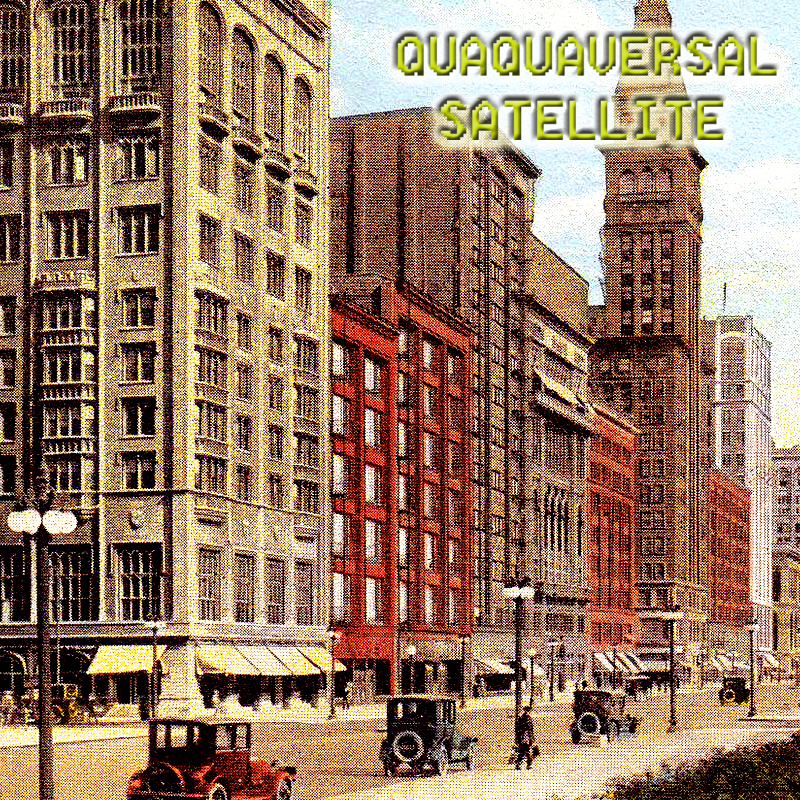 Topics include: Movie theater incidents, the love of 80s pop culture, Ready Player One, time distortion, cravings, Octopus, Grateful Dead, Cavern of Anti-Matter, NECCO, Clark Bar, Frank Purdue, Clark, Aurechre, hatchetface cars, The Alienist, Roseanne, won HQ Trivia today (85 cents), Chameleos, jesters, Zip Talon Vale, Violent Plaza, Scarlet Begonias, timelines, overviews, and much more… plus the Other Side (at 1:52:57)… Commercial – But I’m Drinking Milk – Boy Tries to Convince Coach [collection], Of Love by Johnny Favourite and the Exs [EardrumsPop, CC BY-NC-ND 3.0], Wild Palms Trailer 1993 [YouTube], Ginchy by The Surfside IV [Archive.org, CC BY-NC-ND 3.0], Born To Die by Al Hotchkiss [Archive.org, CC BY-NC-SA 2.5], Dungeon Keeper by Re-Horakhty [Ektoplazm, CC BY-NC-SA 3.0], Byzantium by Dan Tindall [Archive.org, CC BY-NC-ND 3.0], Peppersnoc Road by Tree Bag Ask [Onsug, CC BY-NC-ND 3.0], Dive to the Edge of Creation (excerpt 2) [YouTube.com], Tormented by Confusion Is Next [Jamendo, CC BY-NC-ND 2.5], WTCG 1978 “Little Rascals & Friends” & Classic Commercials (excerpt) [YouTube], SET ME FREE by Jonny Kinetic [Jamendo, CC BY-SA 3.0], IUMA on CNN (3/9/1994) [YouTube], T.A. (Live) by Camelot [Jamendo, CC BY-NC-SA 3.0]. 36:30 – More Hollywood antics with Mama Bloom’s Brood!! The Amazing Spider-Man #59 is examined by PQ Ribber!! AudioCollage Music is back!! 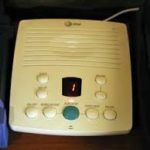 30:48 – Feelin’ Frisky, The Deuce Spot, The Clone-Aggeddon Tours and What Our Parents Said, What Dr.John Said, Fusebox Liner ID: Senator Bob Fusky and the Razor Clams, Some Net Neutrality Updates, Janiene Calls Again, Twisted Epiphanies: “Frequency Filters”, Wildebeest IPA Merch, and another and again then again, another, Wildebeest IPA Spot, The Video Vixen: “Ruby”, Exorcist Wannabe’s, Telly’s Tentacles. A robust outpouring of gratitude to our vocal contributors, Laura Duyn, Devin James, Sabra May, Trista Perez, and Jeff Pollard for smothering us with kindness in this edition of Fusebox. 2:32:42– Frank in NJ and NYC, plus the Other Side. Topics include: Filming on side streets, vegan pizza in Brooklyn, 2018 the Year in Weasels, exhaustion, Jack White at Warsaw, Yondr phone bags, surprise guest Rob from The Paunch Stevenson Show, Round One arcade, The Silver Surfer, Ready Player One, time enemy dream, Toys “R” Us, coffee ice incident, chaos, listening plan, Regards the Sleeper, Google Translate, saloon synchronicity, Web Ring, the crushing force of time, Dungeons & Dragons, talking magic sword synchronicity, TV Series Tarot, The Americans, Limelight, mashups, paradise vs. here, and much more… plus the Other Side (at 1:50:09)… Desperately Happy by The Prefab Messiahs (FreeMusicArchive, CC BY-NC-SA 3.0]The Galaxy Club, Belvue, WA [Archive.org], Chilli Con Carne (Demo) by beachbreak [Archive.org, CC BY-NC-ND 3.0], Lite Brite Toy Commercial 1970 [YouTube], 1995 by Paper Tiger [Jamendo, CC BY-NC-SA 3.0], John Glenn – NYC Hall Friendship 7 Victory Parade [collection], southern night by voxakkord [Jamendo, CC BY 3.0], Puppet…Rockford, Illinois 1983 [YouTube], Cyberspace by Electronic World [Archive.org, CC BY-NC-ND 3.0], Carvel Ice Cream – “Tom Turkey Cake” (Commercial, 1984) [FuzzyMemories.TV], The White Panther by Stephan Beneking (performed by by Carlos Marquez) [IMSLP/Petrucci Music Library, CC BY-NC-ND 4.0], Chez Bob’s Get Back at School 83 by Another Flask of Weird [Archive.org, CC BY-ND 3.0], Silk Road Raga by Inaequalis [FreeMusicArchive, CC BY-NC-SA 4.0], Feds (1988) (Trailer) [YouTube], Baja Bound by Rick Volcano [Archive.org, BY-NC-ND 3.0], Laserium – London laser show – radio ad 1979? [YouTube], Show Me by Bullette [Archive.org, CC BY-NC-SA 2.5]. 1:41:46 – Cali Dingo!! Doc Sleaze!! Dave in Kentucky!! Frank Edward Nora!! Fun with animation talk and bad cartoons!! 32:32 – The Jack Benny Program fragment included is all that exists of the episode. The rest is lost to the ravages of time, dammit. You are currently browsing the archives for the 'Mar18' category.